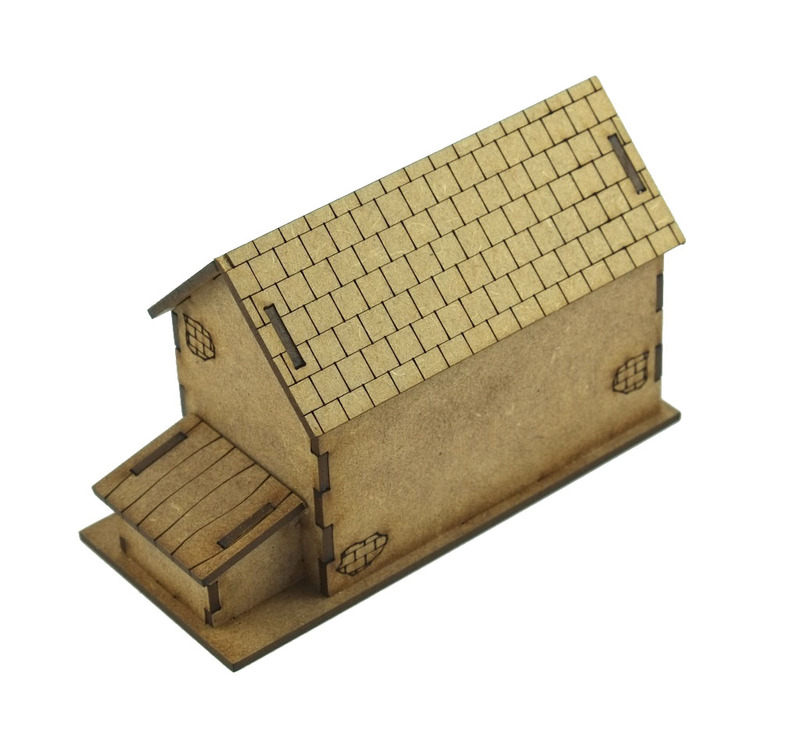 28mm shed/outbuilding useful for a wide variety of wargame or fantasy role-play system. 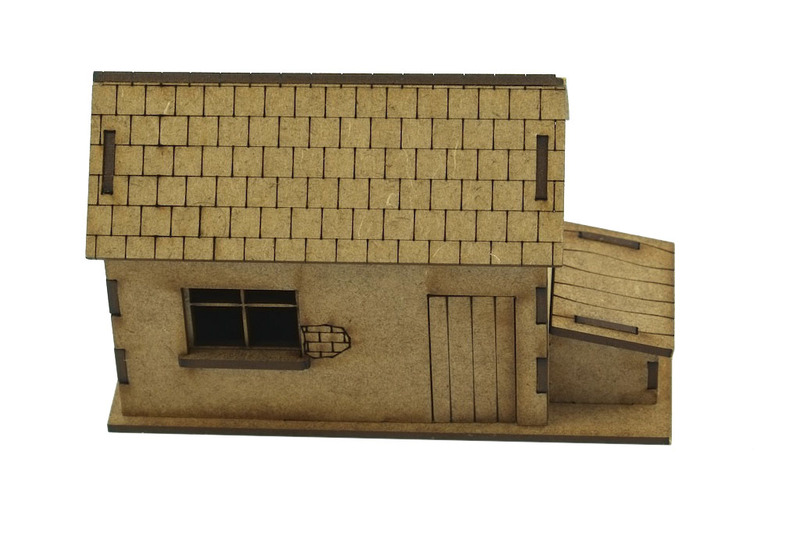 This kit is intended to be a supplement to both our Farmhouse or Normandy Farmhouse kits and is a cheap way to get some extra detail onto the game table.These is laser etched detail on the walls and roof and the windows have frames and sills. The small side storage unit has a removable roof as does the main shed. The kit measures 110mm x 46mm x 70mm high. Thanks to Mike Minghell for the great paint job! !